Our Kids Martial Arts program is the perfect activity to get your kids excited about a new hobby, while learning important skills and values. The core principles of focus, discipline, respect, and self confidence are incorporated in all of our sessions. Through disciplined practice, your child's confidence and self-esteem will grow along with their pride of accomplishment. Kids Martial Arts classes in Hopedale have proven to help children excel at school and become better behaved at home. And that's just the beginning! Every Child Is A Winner At The Martial Instinct Kids Martial Arts Classes! Enroll Your Child in Kids Martial Arts Classes Today! Kid's classes are held Monday, Wednesday, & Thursday evenings & Saturday mornings. If you are interested in registering your child for this program all you have to do is fill out the short form on the side of this page. We will get back to you shortly will all the information you need to start! 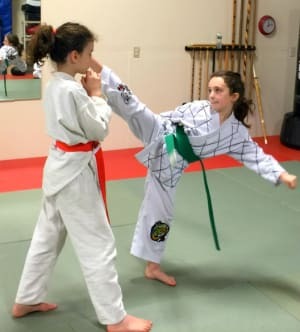 I looked at several martial arts schools before choosing TMI for my daughter. I was impressed with the combination of traditional martial arts principles and effective self-defense. TMI teaches a total package of strikes, kicks, blocks, joint locks, and throws. The training in rolls, falls and grappling is second to none. My daughter loves it! And I could not be happier with what she’s learning. 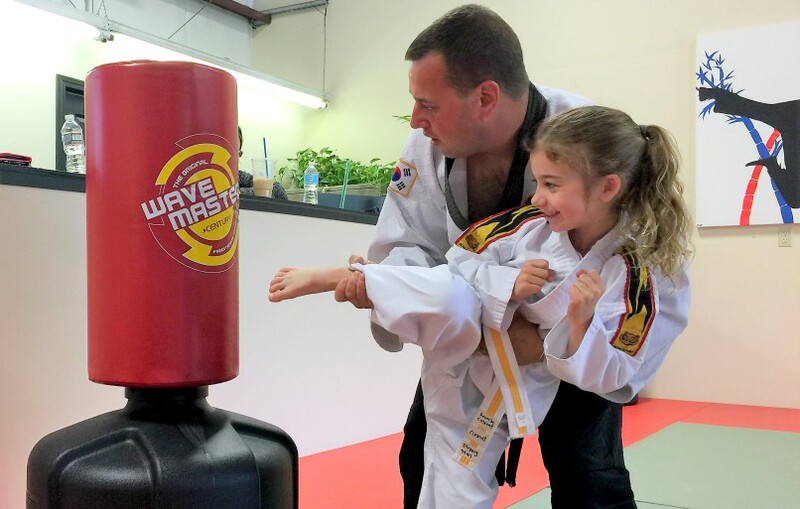 In Hapkido, Katie is learning how to defend herself against strikes, holds and even multiple attackers. Most importantly, she’s learning how to be aware of, and avoid, dangerous situations. In the last several months, I’ve seen her confidence grow by leaps and bounds. I know that the challenging but supportive teachers at TMI are the reason. Since my daughter joined TMI, she is stronger, more physically fit and more confident. She's learned to concentrate better under pressure, to push herself physically when she's tired, and to respect herself through her achievements. I could not be happier with how the teachers at TMI are helping her understand what confident self-respect is. And I can't think of a more important lesson for her to learn as she heads into her teenage years. The teachers at TMI are excellent martial artists, first rate educators, and are deeply involved in the community. They are parents themselves so they understand our hopes and concerns for Katie. As teachers, they strike just the right balance between being supportive and pushing their students to discover what they are capable of.